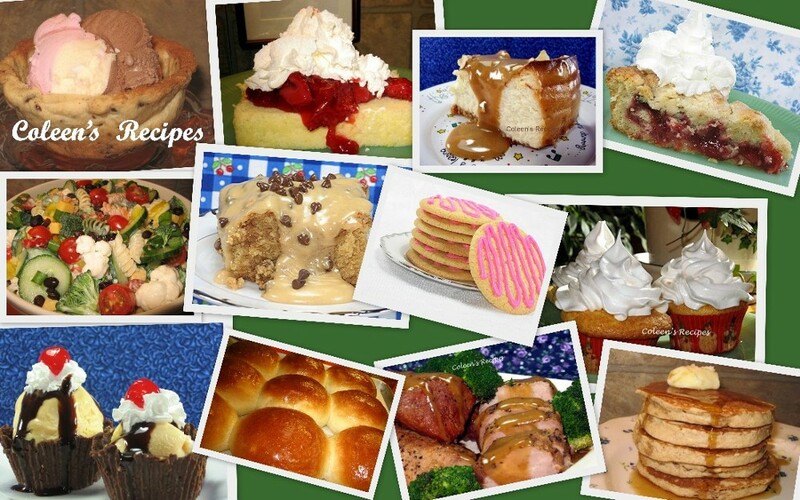 Over the Christmas season, I will be posting a variety of easy recipes that I'm calling GIFTS FROM THE KITCHEN. The beauty of this idea is that you can make these gifts far in advance of your hectic holiday baking schedule and they will be "waiting in your pantry" for that neighbor, school teacher, office friend or unexpected last minute guest on Christmas Eve!! (check out link at end of this post for some wonderful (and free) "From the Kitchen of..." gift tags you can download). 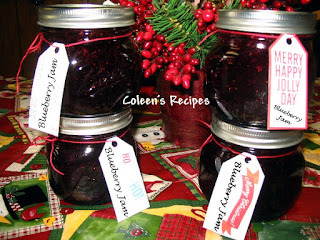 My first GIFT FROM THE KITCHEN post is for Blueberry Jam... a quick and easy recipe that uses frozen blueberries (I don't even thaw them first). This jam has a wonderfully fresh taste!! Prepare your jam jars. Personally, I put them through the hottest setting on my dishwasher, and then let them sit/steam in there while I make the jam. For the lids, I wash and rinse them, then let them sit in a pan of almost boiling water, while I make the jam. We like a jam that doesn't have a lot of serious "chunk-age" (as picky-picky husband calls it) so I put the frozen blueberries in the food processor (a few cups at a time) and process them until they are about the size of rice, so the final jam has the consistency of a fruit spread. If you like "chunk-age" in your jam, just don't chop the berries so small. The recipe calls for five cups of chopped berries. I use a regular measuring cup and pack as many chopped berries as I can in it (do that for each of the 5 cups). Place the chopped berries, lemon juice, sugar and butter in a large heavy kettle. Heat on medium, stirring constantly, until the sugar is dissolved. Increase the heat to medium high and bring it all to a FULL ROLLING BOIL (one that will not stop boiling when you stir it). Remove from heat (but don't shut off the burner) and add BOTH pouches of liquid Certo pectin (make sure you squeeze it all out of the pouch). Put the pan back on the heat and bring the jam back to a FULL ROLLING BOIL FOR ONE MINUTE. Turn the heat off and skim any "foam" that is on top of the jam (if there is any) and fill HOT jars, leaving 1/4" of head space. Wipe rims of glass jars with clean, wet towel. Put on the two piece lids and tighten. Process in hot water bath: Pints for 15 minutes or half pints for 10 minutes. NOTE: If you decide to thaw the berries (I never do)make sure you do not rinse them or drain them (you will want to include any berry juice that results from thawing. NOTE: I can't tell you exactly how many pounds of frozen blueberries makes 5 cups of chopped berries. I'm guessing that I used about 1½ or 2 pounds? 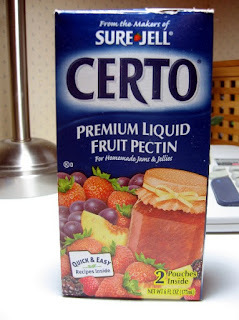 NOTE: This recipe uses LIQUID pectin, I have never made this with powdered pectin. 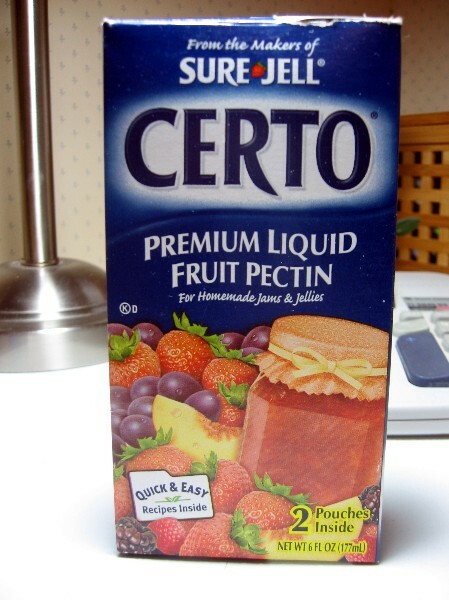 Certo is made by Sure Jell and there are two 3 ounce pouches of liquid pectin in each box. NOTE: I found a trick in an OLD cookbook that has worked wonders to eliminate "floating jam pieces"...those bits of fruit that work their way to the top of each jar, but THIS STEP IS NOT NECESSARY!!! IT IS SIMPLY COSMETIC!!! Right after you take the jam off of the heat for the last time, let it remain in the hot pan for FIVE MINUTES; gently stir (with a sterile spoon) every 60 seconds. It really does eliminate problems with floating fruit). NOTE: I found some fantastic gift tags for "Home made gifts from the Kitchen" that you can download (free) at: www.unsophisticook.com CLICK HERE You can print them on cardstock or photo paper and they look excellent! !